The world can now read tweets from the State of Ukraine. The Twitter profile of Ukraine sports a blue badge proving it is verified. 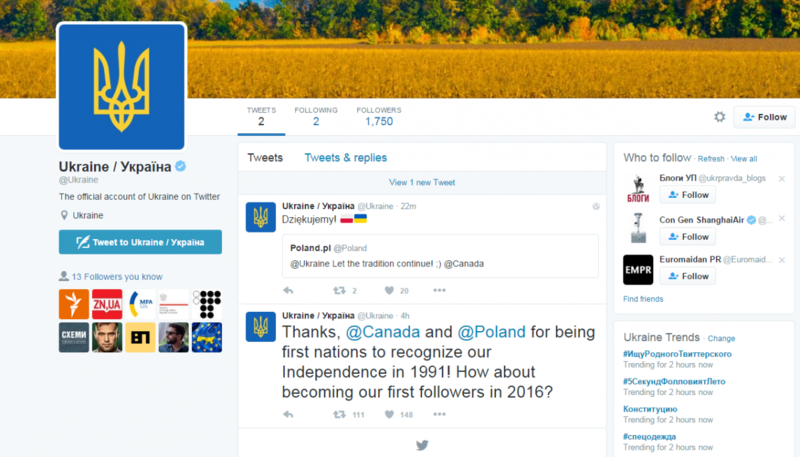 In its first tweet, Ukraine expresses gratitude to Canada and Poland as they were the first ones to recognize Ukraine’s independence, and therefore urging them to become its first followers on Twitter.